In 1984, a young Grand Canyon river guide revolutionized the footwear industry when he created the world’s first sports sandal. 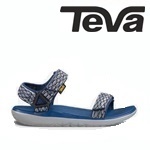 This idea soon spawned a brand, and the new adventure of Teva® was born. 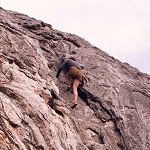 It’s been 25 years since we took our first step into the Grand Canyon, and not a moment has gone by that Teva® (that’s “teh’-vah,” not “tee-vah”) hasn’t been hard at work developing products that enable and encourage your adventure. Of course, given our heritage, we have an obsession with water, and our passion lies in identifying and enhancing the areas in which water effects an adventure. To us, water presents a paradox. It is the source of a year-round playground, but it simultaneously poses a year-round problem. Anyone who has ever slipped on a patch of ice or been forced to deal with soaking wet socks can attest to this duality. more..